Have you ever had an idea and wondered if it would work? 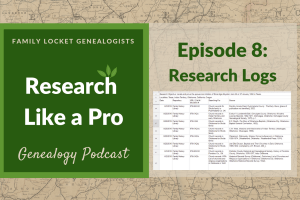 Several months ago at the beginning of the summer of 2017 I started writing the “Research Like a Pro” blog posts with the hope of starting a study group of genealogists, each researching their own families. Several people signed up for the inaugural Research Like a Pro study group and in September we began. Meeting twice a month for a total of six sessions, each group member did a research project from start to finish. Some discovered important information breaking through a long standing brick wall and others formed a solid foundation for future research. All learned how to formulate an objective, analyze the information they had already found, create a locality guide, plan their research, keep a research log with source citations, and write a research report. I was thrilled to watch the progression of the projects. With the collaboration between group members and the ability to view the unique ways each approached the same assignment, the study group became even more than I had originally visualized. Every genealogist wonders if there is a better way to approach a difficult problem or to organize their research. The group setting gave each of us many ideas for improving our own systems. At the conclusion of the study group I asked each member to write about their experiences. I was especially interested to see what Sherri Hessick, a graduate of the Boston University Genealogical Program, felt she had learned. Today I’m sharing her thoughts. I have been researching my family history since 1997 and have tried to apply high standards to my research process from the beginning. However, there really were not many educational opportunities back then other than genealogy conferences that required expensive travel. So I pretty much went on gut instincts and what I could glean from email lists and the odd conversations with others in the same boat I was in. Consequently, my research would not hold up under scrutiny as well as I would have liked it to. When I retired from the corporate world, I decided to become more educated in genealogy standards and to bring my research up to those standards. I began watching as many webinars as I could, went to a few national conferences, and to every seminar within driving distance. My grand “finale” was to earn a certificate from the Boston University Genealogical Research Program this past summer. 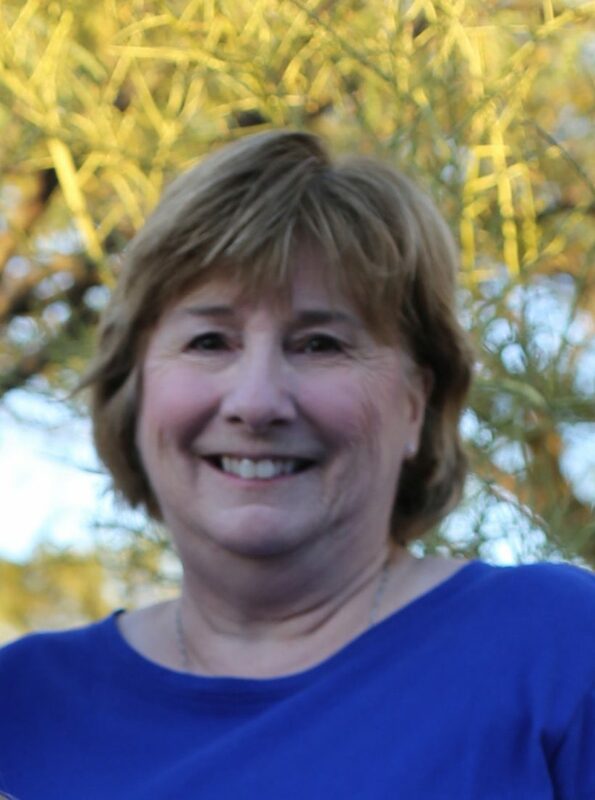 When I heard about Diana’s Research Like a Pro Study Group, I thought it would be an excellent opportunity for me to practice the skills I had learned and receive feedback from a professional genealogist and a group of genealogists with a wide variety of experience, skills, and knowledge on my own family research rather than an assigned project. I got that, and much more. The research process Diana took us through was very structured and made a lot of sense. It was important to do each assignment in the order it was given and we saw the benefit as we went along. We learned to formulate a focused research objective, which is my biggest weakness. Although I knew theoretically that I had to start with that, my objectives have always been too broad or too narrow and my working hypotheses were non-existent or made absolutely no sense. Diana’s examples caused those light bulbs to shine! My research objective was a simple one—find the parents of Elizabeth (Betsy) Thompson, born March 1791 at St. Mary’s County, Maryland, and married Joseph Masterson on 7 September 1814 in New Hope, Nelson County, Kentucky. One of the most helpful tasks for me, also an assignment set in the beginning of the process, was to develop a timeline and analyze the evidence supporting it. The analysis part was something I had never done before. That analysis spotlighted many areas in the research on my Masterson-Thompson family that I hadn’t realized was so weak. Those weak areas generated a lot of questions for me, which were all written into my research plan (an assignment for another week). Another step we were taught that I had never done before was to create a locality guide for the area(s) in which we were researching. I have to admit that this step surprised me and I didn’t understand at first why we needed to do that. After all, I had been researching in Kentucky for many years and surely I knew what records were available by now and I wanted to spend some time doing research. But as I worked through the assignment I saw the incredible value it had for me now and for my future research. It was in many ways the most helpful assignment I was given, not to mention how much fun it was! I was sorry to have to stop and start work on the next assignment. I plan to create guides for all the areas of my research in the future before diving into researching that locality again. The course ended with writing a research report. While people generally think of writing a research report as something you would only do for a client, it is necessary to write one for your own research problems as well. Writing the report allows you to organize your findings and record your thoughts so that you fully understand the evidence, or lack thereof, that you have found and to record your next steps as you think of them. That way, you can put it aside for a few weeks or months and be able to return right where you were without wasting time going through all the evidence again. The Study Group was broken into two small groups of five to six people each. We met every two weeks via Google Hangouts on Air and we were given private links to view our hangout and the other group’s hangout to facilitate learning from each other. Throughout the entire process, we were able to counsel with Diana and others in the study group through a private Google Hangouts Message/Chat area in between our bi-weekly sessions. We were all encouraged to read everyone’s assignments and to provide constructive feedback on at least two for each assignment. The entire Study Group was small, but very diverse in terms of experience and everyone provided valuable comments on our assignments. Being able to see the way other participants approached their problems gave me some great ideas on how to approach other research problems in my own family. In many ways, this was the most valuable aspect of the course. 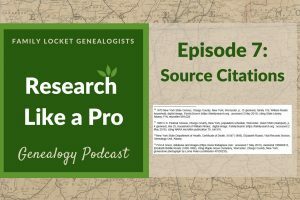 The ability to see how a professional genealogist tackles the research for her clients as well as some of the work she did to earn her accreditation, was also valuable. It has encouraged me to pursue certification or accreditation myself. I did not find Elizabeth (Betsy) Thompson’s parents, but I made some progress and I know what steps I need to take next. I will revise my research plan and be sure my timeline and locality guide is updated and start the process over again. I will no longer feel the frustration of disorganized research and resolve to take the time to perform my research like a pro. The satisfaction I feel on a job well done, even though it is not really done yet, is unparalleled. To learn more about joining our study group and read reviews from past participants, click here. 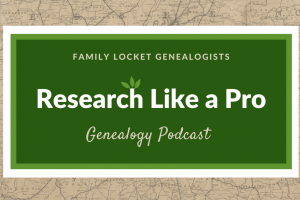 To purchase our book, “Research Like a Pro: A Genealogist’s Guide,” click here.